To preface, let it be known that I absolutely love Disney movies. I carry so many fond memories of my sister and I sitting on our family’s brown 70’s pullout sofa watching hours and hours of the timeless classics put out by the "Juggernaut of NostalgiaTM". In fact, I can bestow upon The Fox and the Hound the superlative “Most Likely to make Kyle Weep Openly in Front of the Cute Girl in School” for having made me weep openly in front of the cute girl in school. Nevertheless, I now find myself revisiting the titans of childhood cinema with a new perspective. I spent my undergrad and graduate level courses exploring politics, theology and philosophy (screw off Oxford comma!) with the result that, upon returning to enjoy so many Disney classics, I found myself conflicted between the ideologies I had gleaned and the cute stories that had always brought me wonder. And now, I get to shatter your childhood too, since the nice folks at OPT have invited me to share my theo-political reflections on one of my favorites. 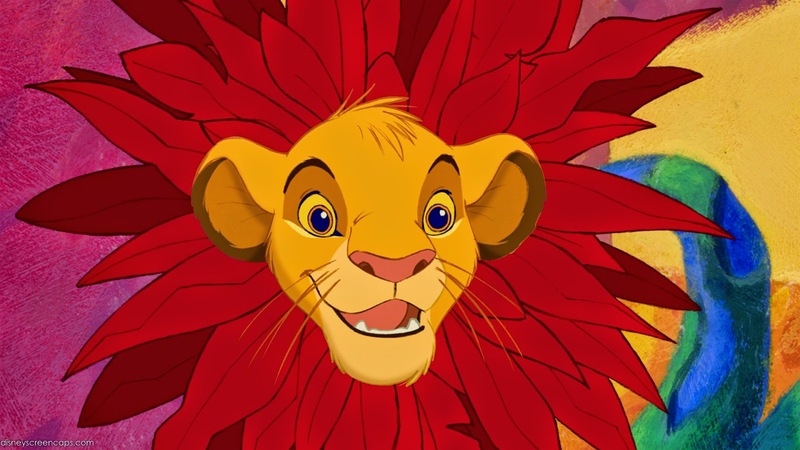 This post will reveal why Simba is probably the Anti-Christ, who seeks to redirect your fears about the throne he occupies toward vague, external threats instead, and to convince you to devote yourself to the wellbeing of a system that wants to eat your kids. Let’s begin with the scary threat of modernity! Years ago, a bunch of white dudes with money figured everything out, sooooo, modernity. The modern age was ushered in when we began to take seriously the idea that we could figure out every intricacy of how the world works. And while some used this as a means of connecting with the divine (through a rationalist approach to testimony about God and what not), others began to reflect on how this knowledge did not necessitate a god at all. They proposed rather that we were the agents of destiny whose mastery of knowledge made us the modern prophets for a coming eschaton of pure material humanism. We saw the forging of new social theories like survival of the fittest, wherein the organisms best adapted for strength become the kings of the age, and the organisms that “fit best” achieve survival during this age and possible entrance to the age to come. I know you’re singing it now; feel free to continue with the lyrics you do know and reflect for a moment on what those lyrics are proposing. 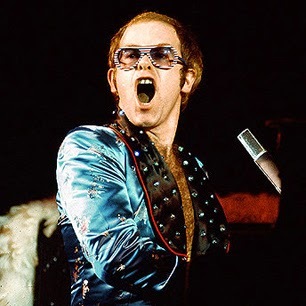 The song, as beautiful as we all agree it is, paints a picture that is as equally cocky and hubristic as the modernist aspirations. We all are brought into this world and are working through the processes of growth in the hopes that we may, one day, find our place in the circle of life. And so, we shall join the grand triumphal march of a world advancing day by day. At this point it may be pertinent to remind ourselves of the storyline to The Lion King. The story begins with a lion named Mufasa who rules a kingdom of non-lions and who has just had a son, the heir to the throne. Mufasa’s brother, Scar, is pissed over being knocked back in the line of succession and therefore proceeds to kill his brother and guilt his nephew into fleeing the kingdom (thereby forsaking his birthright) while he establishes a new dynasty with his hyena henchmen. What we haven’t mentioned thus far is the fact that lions eat other animals (Google it), which ought not surprise us, but nevertheless does when we consider that the story presumes the rightness, not of a specific lion king, but of an enduring throne whose subjects constitute the king’s menu. Mufasa was not a one-and-done agreement; rather, Mufasa as king was simply the expression of an existing arrangement that validates a form of rule established on violence. 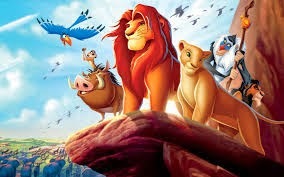 We are made to understand that the throne exists and continues to exist whether it is Mufasa or Scar that sits upon it. Scar certainly represents the fearful chaos that would result from a deviation from the established order, but such chaos is simply the unmasking of the violence inherent in the system; the throne, the underlying arrangement of power that preys upon its subjects, continues whether masked or not. With this in mind, we return to the opening scene of the film: Rafiki (court shaman/false prophet) is presenting Simba to his humble subjects who excitedly stamp their feet and squawk and whinny at the sight of the very prince to whom they will one day have to feed their children. Here we have the full ramifications of the “Circle of Life” lyrics. The subjects of the kingdom are prey to the kingdom; this is their role, after all. The lowly herbivores have found their proper place in the system, and so long as the circle of life is the predominant ideology underpinning the kingdom, they will continue to praise the throne that demands their young as tithe. Obviously, this is reminiscent of monarchical rule and the ideology that underlies it. Citizens have found their place in the circle of life and are protected by the throne as long as they operate and obey the ideological superstructure that permits the king to rule. War and industry becomes the means whereby the citizens, like the lowly herbivores, offer up their children to be consumed by the state. So long as the monarch is fed and the system perpetuates itself, the lowly continue to offer themselves for partial consumption in trade for the throne’s protection. What protection can the throne offer them that is worth such a fearsome trade? Why haven’t the gazelle or zebra rebelled and left the lions to their own devices? Because as legitimate as the fear of the king’s appetite may be, the fear of what lurks beyond the kingdom’s borders is greater. As Mufasa warns Simba, do not venture into the “shadowy place.” Instead of dealing with the dangers at hand in the excesses of the throne, the subjects have sublimated their fear to the shadowy unknown, and convinced themselves of the necessity, even the virtue of the state, and thus nationalism is born. The fear is no longer that a hyena will show up at your door; the fear is that the king who eats your family will be dethroned, and that in the ensuing chaos, a hyena will show up at your door. Yet, with Scar’s ascension to the throne, this very fear is actualized; his hyenas terrorize the citizenry and the predation of the system is no longer easy to ignore. And instead of undermining the premise of the system, the kingdom continues to exist! The subjects simply long for a king who will restore the old deception, who will return to the contrivance that the throne offers absolute protection rather than enabling despotism. Even so, they cling to the throne; the throne permits the rule, because the throne is the ideology that has defined the subjects’ place in the circle of life. Hope for revolution comes in the least likely of places: the prince is expelled. Simba, emptied of his power, goes and lives among the lowly where he learns to eat bugs (the case for bug liberation will have to be reserved for another post) and participate in a new understanding of the world, living not as ruler but as subject. He feels extraordinary guilt over the death of his father, a return to the throne would be meaningless, because for him, the throne is now emptied of its power. (That Simba internalized his guilt and was changed by it is evidenced by his new life among the herbivores as he renounces the desire to rule or re-create his kingdom.) As Paul Tillich would note, he has acceptance in accepting himself as unacceptable, and so has the courage to be. And in the absence of Simba’s kingdom, we are tempted to see the birthing of an order; reminiscent of Hebrews 13: a suffering prince who suffers outside the gates of the kingdom that rejected him. But just as we want to start our Jesus comparisons, we meet Nala, Simba’s childhood bestie and Rafiki, false prophet extraordinaire. Nala’s privilege within the system is exemplified when she must be dissuaded from eating Simba’s new mates, Timon and Pumbaa (you know, because she is a lion and lions eat meat). She tells Simba of the regrettable state of affairs in the kingdom as ruled by Scar, and tries to persuade him to seek the throne. After her plea, Simba next encounters the unemployed court shaman Rafiki who makes the same request, and even conjures up the ghost of Mufasa who awakens Simba’s aspirations to the throne. He sets out to reclaim his power, but he is not alone. Simba, who had learned a new way of life with Timon and Pumbaa that existed apart from the power offered by the throne, now recruits their aid in his quest to attain the very throne that would oppress them. The very throne that vindicates the circle of life ideology which undermines the dignity and worth of the ruled, and subjects them to a violent reality that destroys lives for the sake of perpetuating the system, a system that functions by insisting that the ultimate terror would be the undoing of itself. The rest of the film shakes out pretty much the way you would expect it to. Simba wins, regains the throne, marries Nala, happily ever after, etc. 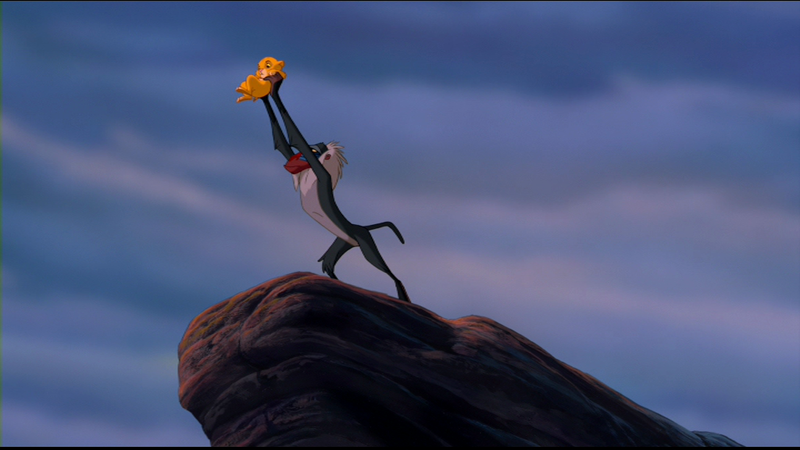 But in the closing scene, we find that the circle of life ideology and the throne it supports, continues unchallenged as Rafiki lifts high the next heir to the throne and the subjects clamor their approbation. Yet fitting best has, up through the present day, involved maintaining the enterprise of bloodshed and war, and service to masters who survive only so long as we can be convinced that the boogieman (the terrorists, the communists, the savages) lurk just around every corner. Yet should the terrorist(s) occupy the throne, the system into which we have invested so much, we will continue to submit rather than call the whole ideology into question. And so, the example offered by Simba is one in which the language of the weak becomes co-opted by the throne, and in the end, the kingdom grows stronger than ever with its illusion of a servant-king. The servant-king, one who descends to walk among the least of these, to humbly serve them and minister to their needs. The concept is thousands of years old. In fact, the Caesars were often called Princeps, meaning ‘first citizens’ and the propaganda intended to depict them as the foremost citizen in word and deed, serving the citizenry as one of its own. It is this very concept that Jesus critiques in chapter 10 of the book of Mark, saying that those who would be great among his followers must truly be the servant of all, unlike the gentile rulers who appropriated the word but had no intention of embodying it. Chapters before Jesus critiques the propaganda of the servant-king, Jesus was tempted with power over the kingdoms of the world. And according to John the crowds wished once to forcibly crown him king. In both instances, Jesus refused, and he winds up dying on a cross outside the gates that promised him a throne. His rejection of the throne and the presence of his body outside the gates does violence, not to the ones on the throne, but to the throne itself, to the self-perpetuating system of power and violence. To follow Christ beyond the walls will certainly mean internalizing our guilt and complicity in systems of violence; it will entail a loss of meaning that existed before, when we knew where we fit best in the ideology of the throne. It will require resisting the alluring voices that call us to enter the gates. Nevertheless, when the fanfare erupts as the next prince of death is raised up before the whinnying crowds, we will be among those outside the gate where the true servant-king still dwells.